The Stockholm bedroom range is styled in such a way that it can complement both contemporary and more traditional rooms. The contrasting light oak main frame and gloss white door and drawer fronts give a very modern and sophisticated two tone look. 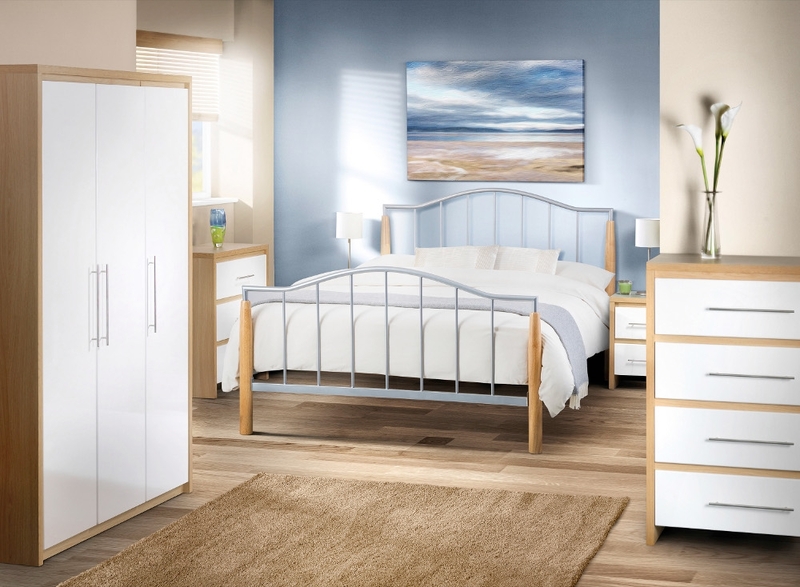 In the range, there is a great choice of storage options making sure that your bedroom needs and requirements are catered for. With the addition of a sliding wardrobe, it gives you additional floor space as the doors do not open up into the room. The dressing table features a long a thin drawer beneath the desk top perfect for small items such as make up. The items are all supplied flat packed but can be easily assembled using the instructions provided. The Carmel Aluminium and Oak Metal Bed is shown in the illustration image.